Here’s your reason to walk around, explore, and find something beautiful. “Pow! Wow! Long Beach” is one of the most anticipated art event in the West Coast and it all starts tomorrow. 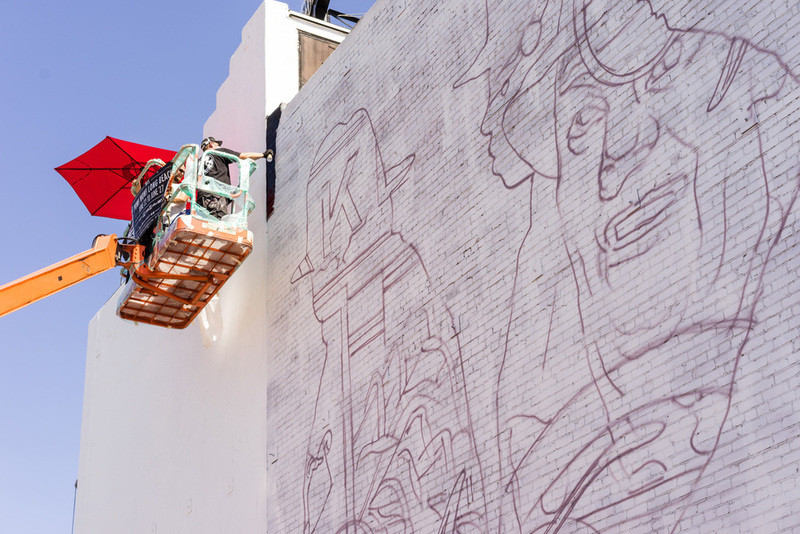 Internationally known contemporary artists will be taking over building walls and the city is perfectly fine with it. In fact, this weeklong event has been orchestrated by local businesses and city officials. Each wall was chosen to receive an artistic mural and you’ll be able to visit each site as the work progresses. Hula from Hawaii, Hitotzuki from Japan, and Cinta Vidal from Spain are just a few of the world-renowned artists. For a complete list of participating artists, make sure to check out the Passport. As you visit each mural on the map, make some plans to attend their events as well. 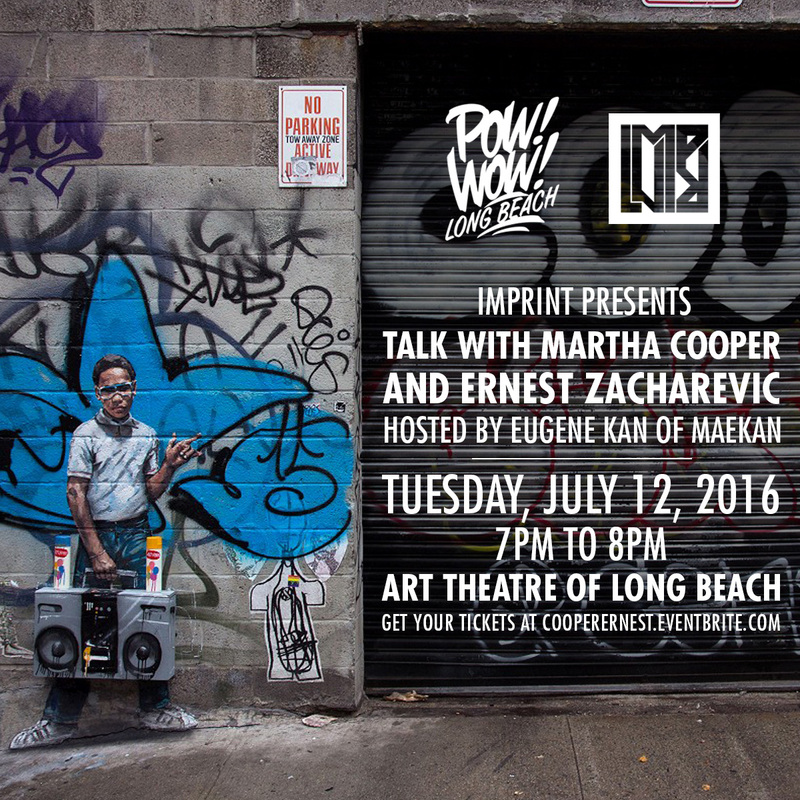 Imprint presents a talk with Martha Cooper and Ernest Zacharevic. Hosted by Eugene Kan of Maekan. 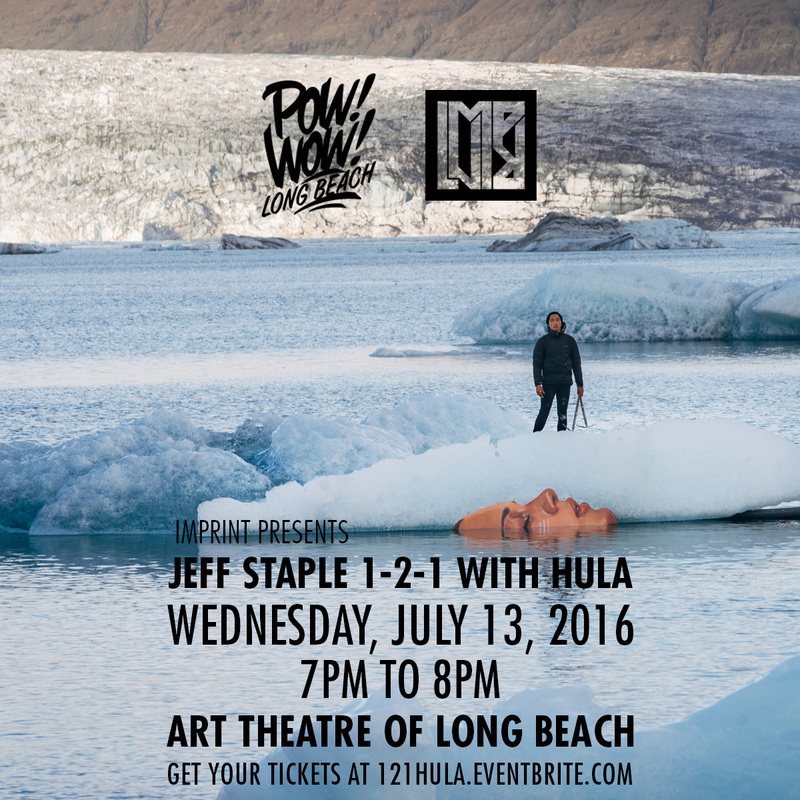 Imprint presents a Jeff Staple 1-2-1 with Sean “Hula” Yoro. Music performances by the POW! WOW! School of Music. Vitality & Verve: In The Third Dimension. Presented by the Long Beach Museum of Art, Thinkspace Gallery and POW! WOW! With music performances by the POW! WOW! School of Music. We are partnering with @hobnobinvites to bring you up to date info on all the events this week. Text each of the hashtags above to 462 662 for event updates, photos, directions and more details.